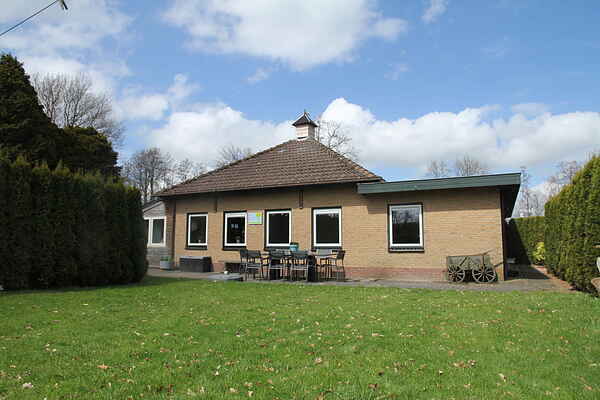 A beautiful holiday home in the Frisian Bocage. The decor is cosy and warm, with plenty of space and comfort for up to 8 people. You can enjoy your time together at the long dining table in the well-equipped kitchen. This home features a secluded garden and is very appealing to families with children. The Frisian Bocage is a landscape in the Friese Wouden with many biking and walking options. There are also opportunities for water recreation in the area, because Eastermar is located by the Bergumermeer and close to de Heyen. From the house you can do lots of activities and there are many possibilities to spend your day in a nice way. You could go the Aqua Zoo near Leewarden, the Ot and Sien museum in Surhuisterveen, the Spitkeet in Harkema, the Frisian Agricultural Museum in Earnewald, the Wooden Shoes Museum in Noardburgum, the Sanjes Vertier Damwald (indoor and outdoor), especially for the children. It's also a lot of fun to try the real Frisian sports of Fierljeppen, Frisian handball or Skutjesilen. In short, a great location for a sporty, active or quiet vacation. After a busy day you can really unwind in the garden, while enjoying a drink and a bite.